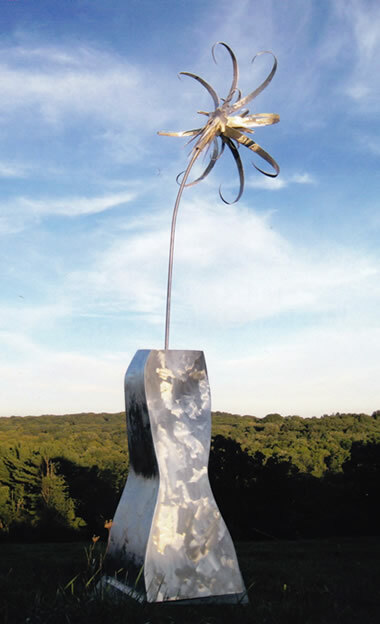 Jodi Carlson is a metal sculptor who creates abstract and semi-abstract art. She has shown her works in a variety of sites in the Tri-State (NY) area, and is proud to have large scale pieces currently on display in front of City Hall in Yonkers, NY, and on the Clifton Arts Center in Clifton, NJ. Jodi earned a BA from Sarah Lawrence College in 1988 and has trained under sculptors David Boyajian of The Sculpture Barn in New Fairfield, CT and Robert Perucci of Silvermine Guild Arts Center in New Canaan, CT. She also earned an MS in Occupational Therapy from the College of Physicians and Surgeons at Columbia University in 1993.